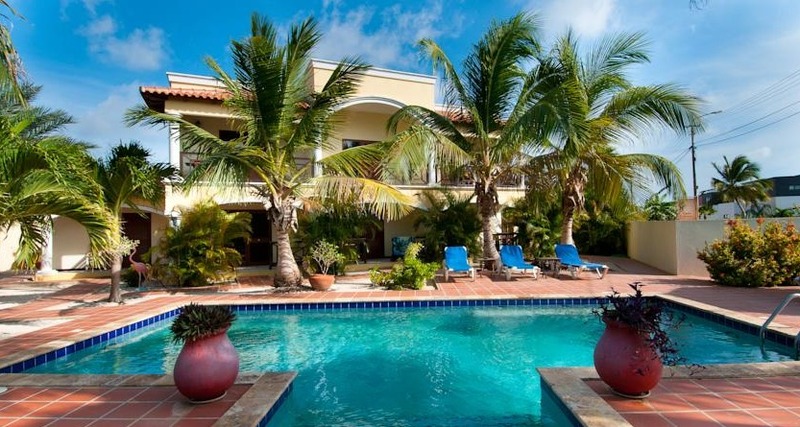 Sonrisa's architecture combines traditional colonial Dutch style with a Caribbean vibe. Offering an outdoor pool, Sonrisa Boutique Hotel is within a 10-minute walk of Kralendijk’s beaches and colorful colonial center. Rooms and apartments have a furnished balcony with pool and garden views. Each air-conditioned room features functional décor, free Wi-Fi, satellite TV and a mini-fridge. Apartments also have a lounge area and fully equipped kitchen. Bathrooms include free toiletries and towels. Sonrisa Boutique Hotel offers a free continental breakfast each morning. There is also a communal outdoor living and dining area which has a gas BBQ and a microwave for guests to use. Diving schools and boat tours can be found near the Sonrisa Boutique Hotel. Fly into Flamingo International Airport, Bonaire (BON). The hotel is about five minutes from the airport. Visit Sonrisa Boutique Hotel’s website for more information.